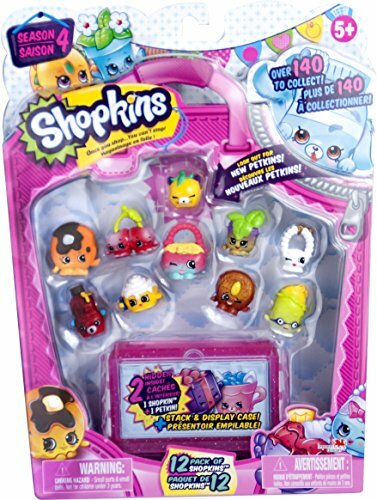 Shopkins Shoppies Donatina. The most coveted Shoppie. Donatina has just rolled into Shopville for a “HOLE” lot of sweet fun! Help Donatina set up shop in her donut cart! 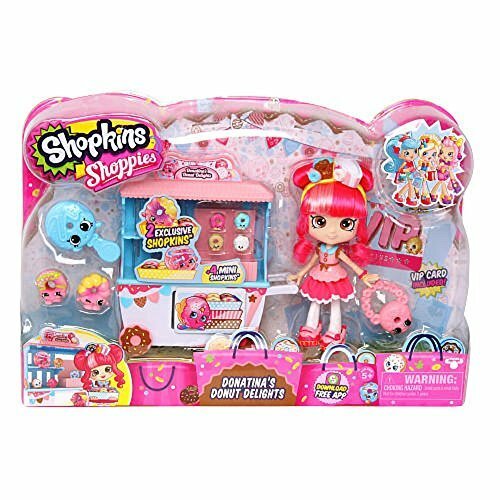 Set comes with 2 EXCLUSIVE Shopkins, 4 mini Shopkins, Donatina, Donut cart playset, 1 Fashion bag, Brush, VIP card, and Doll stand.